Action alert—Congress must be clear with Amtrak: More trains! The future of Amtrak’s national network is still uncertain. Amtrak’s new leadership seems to be operating with the understanding that it must cut its way into cost-efficiency. Of course, we know these cuts will only result in a loss of riders and revenue, negating any savings. Congress needs to tell Amtrak the opposite: we need more trains, and a stronger national network. Committees are in conference this month, reconciling differences in language between House and Senate appropriations bills. Now is the time to send a message to your elected officials! 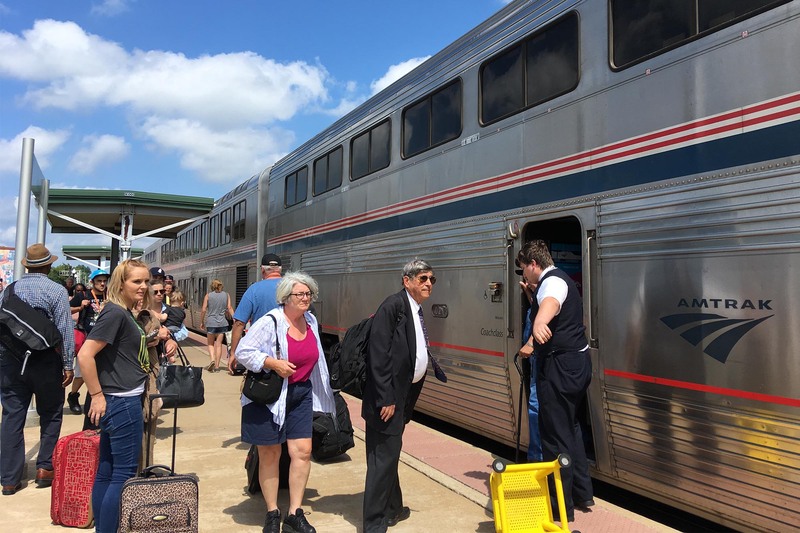 There is both an immediate need to support language that will ensure the Southwest Chief continues to run, and a longer-term need to give Amtrak the funding it needs to buy new train equipment and add service. This all starts with Congress sending a clear message to Amtrak, written in the language of dollars and cents: run more trains, not fewer. We’ve made it easy to share this message with your elected officials. Please send a message now! Send a message with just a few clicks: More trains!